Thank you Curves International for sponsoring this post. Over the last eighteen months, I’ve been on a fitness journey. I’ve committed to working out 2-3 times a week, eating healthy, and losing weight. I’ve lost about 40 pounds, but still have a lot of work to do. I love trying new work outs, so when the folks from Curves asked me to try out the 30 minute circuit training method their gyms offer, I was in. 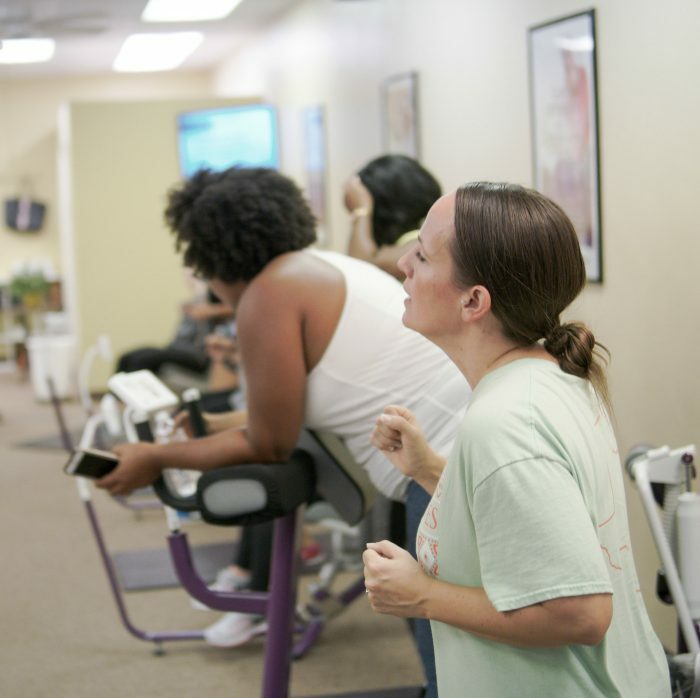 Trying a new gym can be intimidating, but the Curves coaches made us feel right at home instantly. They talked us through the circuit, and what each machine does, and then let us jump in to action. My favorite things about the Curves program are that you can arrive and jump in to the circuit any time, without having to worry about a schedule. You listen to the recording of the instructor on the screen, and move to the next exercise each time she tells you. The exercises alternate between cardio and weight machines. The Curves coaches helped me every time I was confused on a machine, which made the process so easy. So many things about traditional gyms can make it difficult to enjoy a work out. The biggest ones for me are feeling like I don’t know what I’m doing, and feeling like other people are judging me for not knowing what I’m doing or looking silly. At Curves, the coaches take all the guess work out of the exercises. Their policy of no men and no mirrors made me much less self conscious than I normally am at the gym, and I loved being able to just focus on the work out. 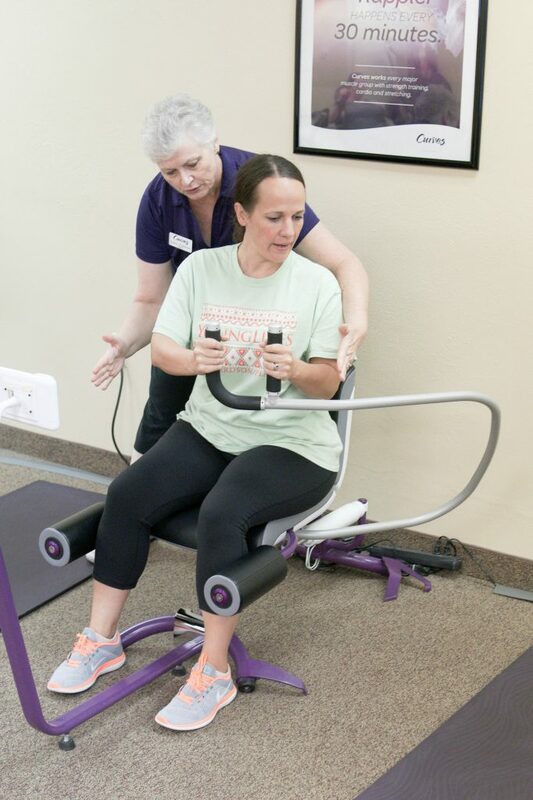 Curves International, Inc. happens to be one of the largest chains of fitness clubs for women in the world and its 30-minute circuit work out with a coach works every major muscle group with strength training, cardio and stretching. 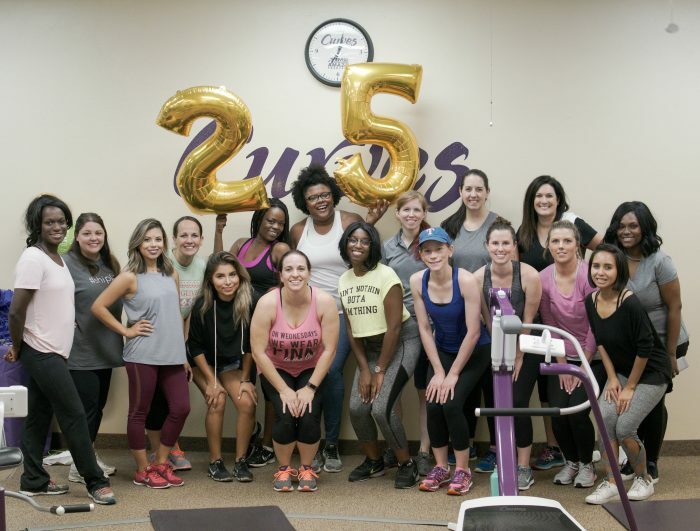 Curves is also celebrating 25 years of fitness this month, and wants you to join in the party. Find our local Curves here, and see if the Curves circuit is right for you. You can also follow along on social media so you don’t miss any of the anniversary giveaways. Check out Curves on Facebook, Instagram, and Twitter. This post was sponsored by Curves International but the content and opinions expressed here are all my own.